A must have book for any geophysicist: A a brief review of the book titled "An Introduction to Exploration Geophysics with Recent Advances". In 2007 Halfdan Carstens, then editor of GEO ExPro , asked Martin Landrø to write a short technical article on the new GeoStreamer® technology, which had been launched by PGS earlier that year. Martin accepted on condition a co-author could be found. Under what is described as ‘mild pressure,’ Lasse Amundsen accepted that role. The paper was published in the September 2007 issue of GEO ExPro, and since then Martin and Lasse have contributed to every single issue: a total of 62 articles in ten years. These articles form the basis of the book Introduction to Exploration Geophysics – with Recent Advances, which is even greater than the sum of its parts. This is a fine book. Exploration geophysics is the application of physics to explore the physical properties of the Earth’s interior and map the subsurface rocks and their fluids at all scales. The scope of the book is broadly defined by the titles of its nine chapters: Looking into the Earth; Elements of Seismic Surveying; Marine Seismic Sources and Sounds at Sea; Reservoir Monitoring Technology; Broadband Seismic Technology and Beyond; Gravity and Magnetics for Hydrocarbon Exploration; Supercomputers for Beginners; Gas Hydrates; Dwelling on the Mysteries of Space. Chapter 6 was written by guest author Christine Fichler and Chapter 9 has major contributions from guest authors Christine and Birgitte Reisæter Amundsen, Lasse’s twin daughters. The chapter titles are perfectly reasonable in a book about exploration geophysics – but give no indication of the exciting things you find when you open this book. The first thing that struck me is the excellent quality of the more than 600 graphs, diagrams, photographs and cartoons which illustrate almost every one of the 327 pages. Martin Landrø and Lasse Amundsen are two outstanding geophysicists who research everything very carefully before writing about it. What is special about this book is not the excellent quality of the technical content, which one would expect from two such distinguished authors, but the sheer scope of each topic. It is full of interesting complementary information. You can certainly learn a great deal about exploration geophysics by reading it, but that seems almost incidental. It is everything else you pick up along the way that makes you want to read on, especially as the writing style is simple, clear and convincing. Figure 1.32, for example, shows that ‘The Mexican wave is an illustration of a shear wave propagating perpendicular to the movement of each spectator’. Figure 2.53 is an engraving of Newton’s decomposition of white light into a band of colors with a prism; the caption gives Newton’s introduction of the word ‘spectrum’, from the Latin word ‘spectre’, meaning ‘ghostly apparition’. Chapter 3 on seismic sources and sounds at sea is rich in sound generation and acoustics and gives, for example, the sound range from the threshold of hearing at 20μPa (0 dB) for undamaged human ears to the 1883 Krakatoa eruption with a sound pressure level of 310 dB. It also connects marine seismic exploration to marine life by including sections on Marine Mammals and Seismic Surveys; Fish are Big Talkers; and the Effect of Seismic on Crabs. The subtitle ‘with Recent Advances’ is right. This book is up-to-date and Martin and Lasse have included contributions from many expert friends and colleagues to ensure that it is. For example, use of codes and decoding and simultaneous source separation is covered in two sections of Chapter 2, written by guest contributors Dirk-Jan van Manen and Johan Robertsson. Section 9.4 describes gravitational waves and the recent successful detection of a gravitational wave on the Earth, which, on this scale, is merely a point diffractor in the universe. The book does not have an index, but is organized so clearly and logically that it is straightforward to find what you want – although you can easily be diverted to more interesting things. And it has a very comprehensive list of references. 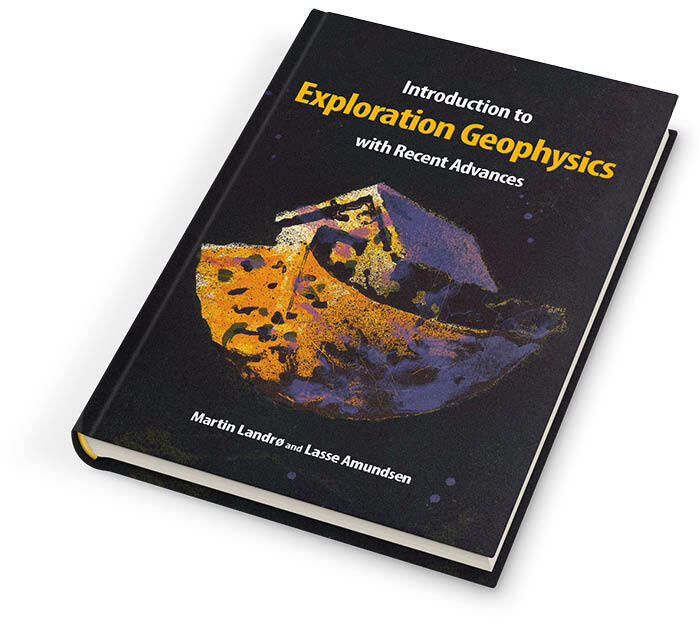 The authors have generously made the e-version of the book freely available; an important point, as it will appeal to students of all academic levels, including those at high school, college and university, as well as those who plan to study exploration geophysics and professionals interested in learning more. With the help of Lundin Petroleum, Introduction to Exploration Geophysics with Recent Advances, nicknamed IEGRA, has been distributed as a text book to many universities and colleges throughout the world. A selection of GEO ExPro articles similar in content or related to topics discussed. 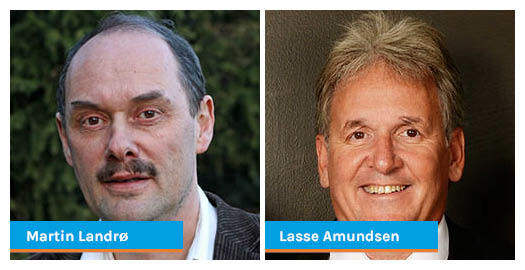 Here you can access the many articles written by Martin Landrø and Lasse Amundsen, covering a broad spectrum of geophysics topics in the exploration of oil and gas.